Daniel Wayne Cote at the time was the legal guardian of the boy, who had lost his mother to cancer not long before the collision. 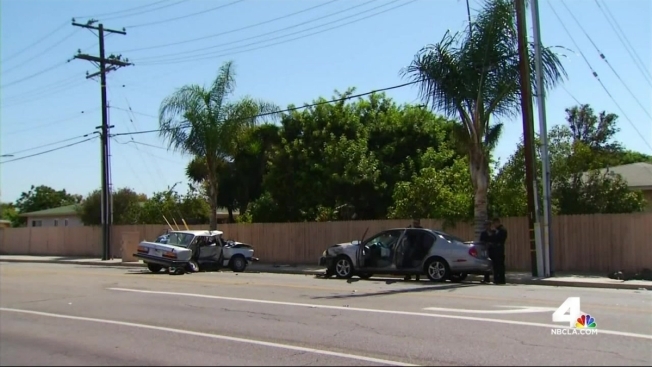 A 38-year-old man is facing a six-year sentence for a DUI crash that killed another man and his 6-year-old nephew in Santa Ana, a prosecutor said Tuesday. David Wayne Cote, who was 54, and his nephew, Ivan Sandoval, were killed in the Aug. 3, 2015, crash. Cote at the time was the legal guardian of the boy, who had lost his mother to cancer not long before the collision. Ivan was in the front seat of his uncle's older-model BMW sedan, but should have been in a booster seat, which was in the back seat of the car, according to Santa Ana police Cpl. Anthony Bertagna. State law mandates children must be 8 years old or 80 pounds before they can ride up front without using a booster seat. Cote's stepdaughter, Jeanette Moreno, told Fitzgerald before Monday's hearing that Ivan was a "vibrant" boy. "He was constantly doing typical boy activities such as riding his bike, skateboard or Razor scooter," Moreno said. "When Ivan played, he played hard." She said Ivan and her daughter were "extremely close" and had their own pretend language. "We have been robbed of all the joy he brought us,'' Moreno said. "There is not a day that passes that I don't think of my baby brother; Ivan will be forever loved and missed." She said her stepfather was an "all-around family man ... His children meant the world to him. I remember being pregnant and even though he had just got home from a long drive and a long day's work, he doted on me hand and foot."